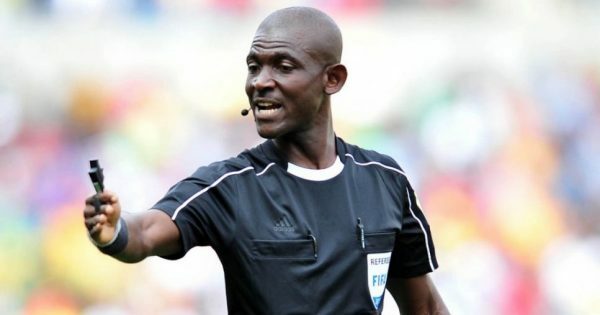 The Federation of International Football (FIFA) on Monday, March 20 banned a Ghanaian referee, Joseph Odartei Lamptey for life for match-fixing. Lamptey was already slapped a three-month by the Confederation of African Football (CAF) after he awarded South Africa a controversial penalty in their 2-1 victory over Senegal in a 2018 World Cup qualifier on November 12, 2016. “The official was found guilty of unlawfully influencing match results,” FIFA said in a statement. Zurich-based FIFA said it was dismissing charges against another Ghanaian match official David Lionheart Nii Lartey Laryea, who had also been under investigation. “Further information concerning the South Africa v. Senegal match in question will be provided once the decision becomes final and binding,” FIFA said.